Maybe ugly is too strong a word. I’ll go with “isn’t-working-for-me.” Yet. I also like the palette a lot. 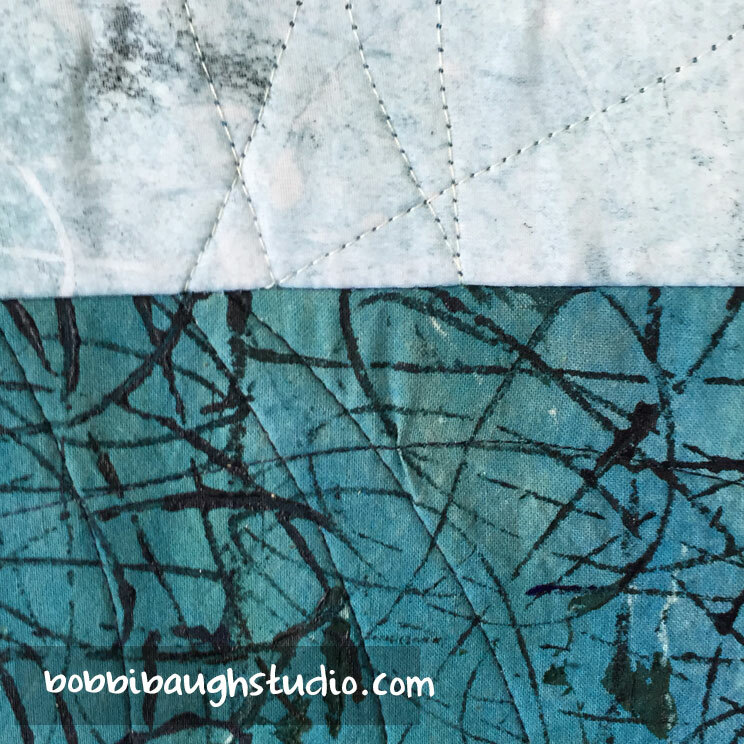 The background teal-violet of the washed-in trees was painted wet-into-wet on sheer fabric. I like the patterns and colors. And to accompany the background fabric, I have printed new fabrics to put into the composition. 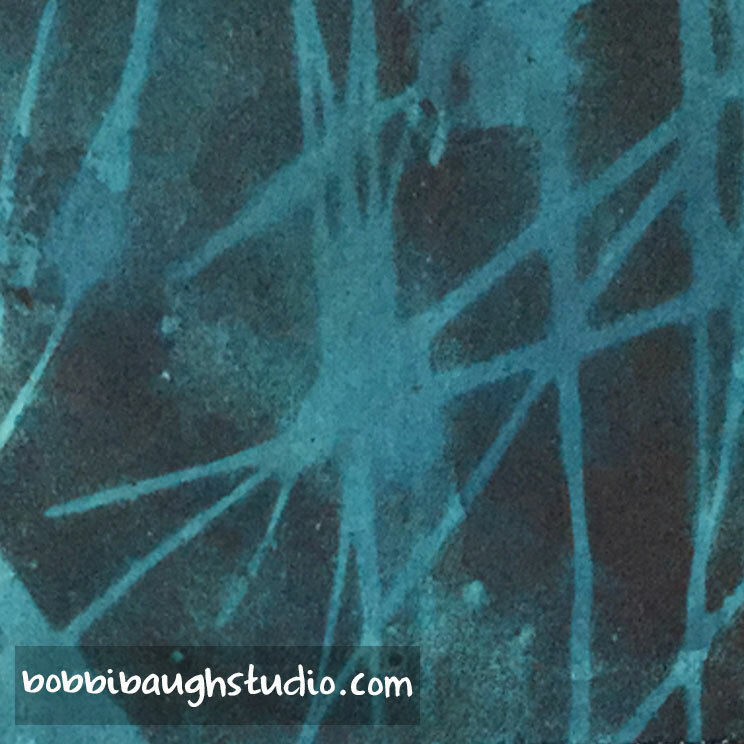 The monotype roots pattern in shades of blue is especially pleasing to me. 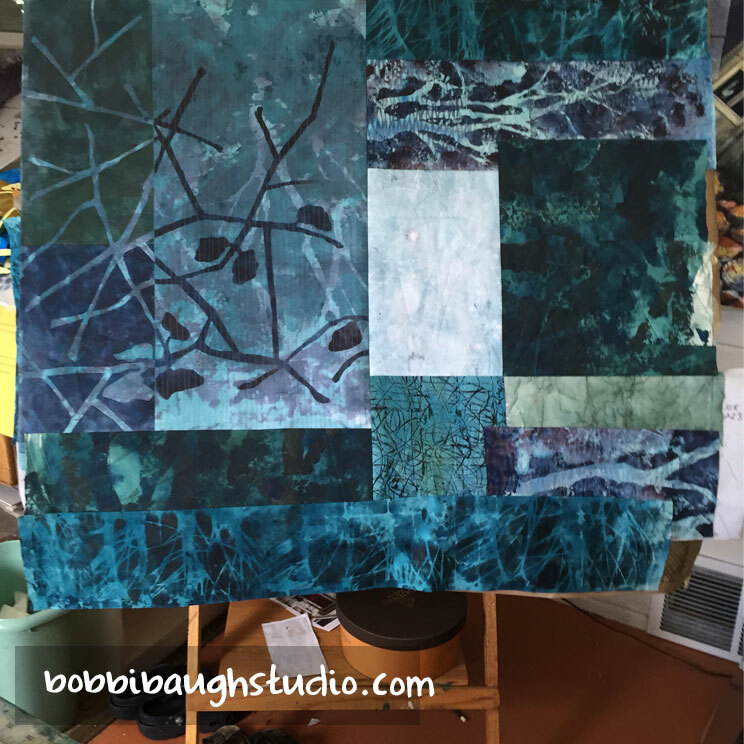 Here’s what I have assembled so far (collaged and stitched) on my easel. I am going to complete the stenciled images of the two birds and the balance of the twigs as I have sketched. And, somewhere, I’ll need at least a splash of something that’s not blue so this is not so monochromatic. This is going to work. I am telling myself that, believing in what I see already working. I’m just not sure how to do it yet!